The uninsured motorist problem is a big one, and it’s growing. It is estimated that one in seven drivers in the United States is uninsured. And the bottom line is that it’s the insured drivers who are picking up the tab for the uninsured ones to the tune of billions (that’s right, billions) of dollars a year in additional insurance fees. All states, including South Carolina, have passed laws aimed at curbing the problem by making it harder and more expensive for drivers to remain uninsured. 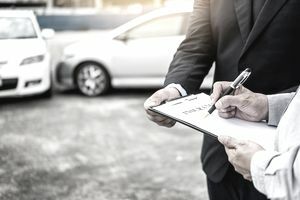 If you drive in the state and you aren’t covered, or if you are thinking of dropping your insurance to save a little money, then it’s time that you became acquainted with the penalties for driving without insurance in South Carolina. If you don’t already know, South Carolina requires that drivers carry a minimum level of automobile insurance coverage at all times. Currently, the minimums are $25,000 for injury or death to one person; $50,000 for injury or death to more than one person; and $25,000 for damage to property. Uninsured motorist coverage, by the way, is included in your regular fees. Let’s assume that you are a South Carolina driver who currently has valid coverage in place, but you want to drop it if just for a few months, to save the cash. You may be thinking that it will take at least that long for the DMV to catch up to you and by then you’ll have a new policy in place. If that’s you, you may want to think again. That’s because South Carolina employs what is known as the Automobile Insurance Liability Reporting System, or AILR. AILR works like this: When you cancel your auto insurance, your (now former) insurer will immediately electronically notify the DMV of the cancellation. The DMV will then automatically send out a letter informing you that you have 20 business days to provide verification of new insurance coverage. If you changed insurance companies without a lapse in coverage, no problem. Just notify your new carrier about the letter, and they should be able to take care of informing the DMV right away. If you fail to respond to the letter within the given 20-day period, however, then you have a problem. Your license plate and vehicle registration will likely be suspended, and you may also lose your privilege to drive. Any vehicle. Period. And reinstating your plates, registration and driving privileges can get expensive. First of all, you will have to obtain new insurance and prove it to the DMV. Then you will pay a $200 reinstatement fee, plus $5.00 per day for every day that you went between valid policies. By the way, those penalties are “per vehicle,” which means, let’s say, that if you dropped coverage on three vehicles at the same time, you are going to have to pay $600 in reinstatement fees and $15 per day for the days that they were uninsured. Things could get expensive, right? Still not convinced that dropping your coverage isn’t a good idea? If your plates and registration have been suspended due to lack of insurance, and you are stopped while operating one of the vehicles under that suspension, then your driver’s license will be suspended (if it hasn’t already) and will remain so until you pay a $500 reinstatement fee. And if you are caught driving a vehicle that you do not own, your license will be suspended for thirty days, and you will have to pay a $100 reinstatement fee. Separate and apart from all of the penalties put on you by the state, there’s that little problem of getting into an accident where you are at fault and causing property damage and personal injury. I don’t have to tell you that property damage costs, and more importantly, the expenses resulting from major personal injuries, can be astronomical. It is not an exaggeration to say that paying for the personal injuries of the victims of your accident can wipe out a lifetime of savings, literally in an instant.